Our commitment to client satisfaction is second to none. We view ourselves as an extension of our clients. We also ensure 24-7 access to our management team for last-minute changes, bookings, or other needs. Book Parking Management Company for your restaurant! A patron’s arrival and departure experiences are an opportunity for guest interactions that extend beyond the front door. We capitalize on this occasion by taking the time to truly understand your vision for the guest experience. 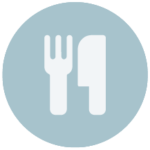 PMC partners with restaurateurs throughout the United States. Our clients range from fine dining experiences to casual sports bars, including both corporately owned and local establishments. Guests arriving at our partners’ front doors know to expect eye contact, a warm smile, and a sincere welcome. 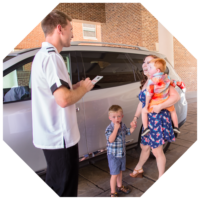 Each guest’s door is opened by assisting team members as we explain the parking amenities in full detail. 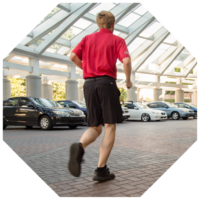 Departing guests will observe vehicles being delivered swiftly and safely under the direction of the team leader. Our proprietary ‘Road to Success’ training and certification programs teach our associates the aggressive hospitality techniques necessary to anticipate guests’ needs and to develop a proactive service culture that is in line with your vision. Our commitment to client satisfaction is second to none. We view ourselves as an extension of our clients. We also ensure 24-7 access to our management team for last-minute changes, bookings, or other needs.